Did you know? Not all lawn aeration service is equal. Core aeration is a type of cultivation which extracts a plug of turf, thatch, and soil and deposits the plug on the surface of the lawn. The aeration process leaves holes in the turf and soil. This encourages oxygen exchange in the root zone, improves moisture and nutrient penetration, relieves compaction and increases the rate of thatch decomposition. The benefits of aeration were recognized long ago, however, the equipment available then was too large to maneuver on most home lawns. With the design of smaller, Canopy CorAtor units, core aeration has become accessible to more customers and eliminated the need to outsource the service. All Canopy Core Aeration is performed by our Canopy Pros. The CorAtor experience provides all the same great benefits as traditional core aeration service and more! Canopy Lawn Care is proud to make core aeration even more convenient and accessible to our customers by using innovative core aeration equipment that attaches to the front end of each Canopy Pro mower. This eliminates the need for additional equipment that is heavy and cumbersome to maneuver through lawns. process can reach all of the same areas of the lawn that the mower can reach and employs the same core aeration technique as traditional aeration machines, removing soil cores and leaving them on the surface of the turf so that the nutrients can be absorbed back into the soil. Canopy’s core aeration process offers all the same great lawn aeration benefits. Core aeration service is one of the most beneficial services that you can offer your lawn. Cool season lawns like fescue should receive core aeration and overseeding during the early fall. 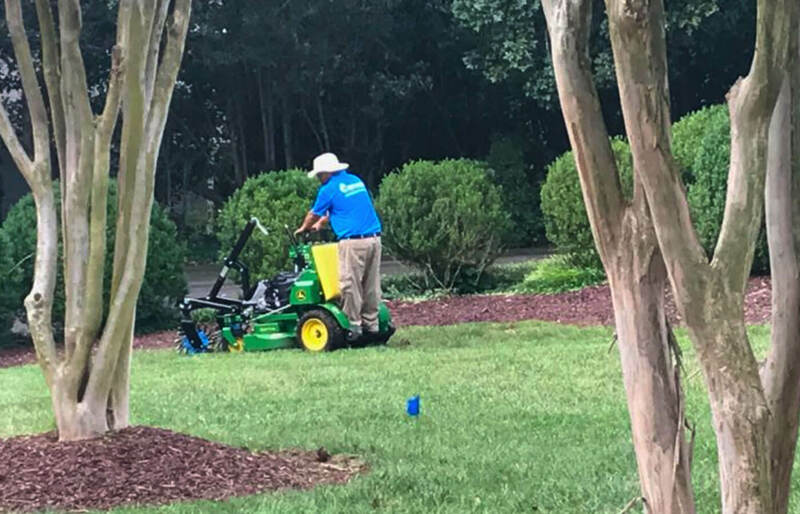 Canopy customers appreciate the convenience of having a lawn care provider with the ability to perform aeration and overseeding during a regular service visit without the hassle of scheduling an additional provider. The other benefit to Canopy Lawn Care customers is that their Canopy Pro is already familiar with their property and lawn care needs. This enables them to take greater care during the aeration and seeding process. You can read more about core lawn aeration or get a free quote for the service here. Aeration and overseeding is a critical practice in establishing and maintaining a beautiful, thick, weed-free lawn. Core aeration loosens compacted soil, which encourages deeper, healthier roots.